A fantastic 2 bedroom apartment available to rent in a converted former textile mill. The property is full of character and charm with high ceilings and full height windows and circular skylights offering plenty of natural daylight. The apartment benefits from a private, electric gated access with allocated parking area and a security intercom system. 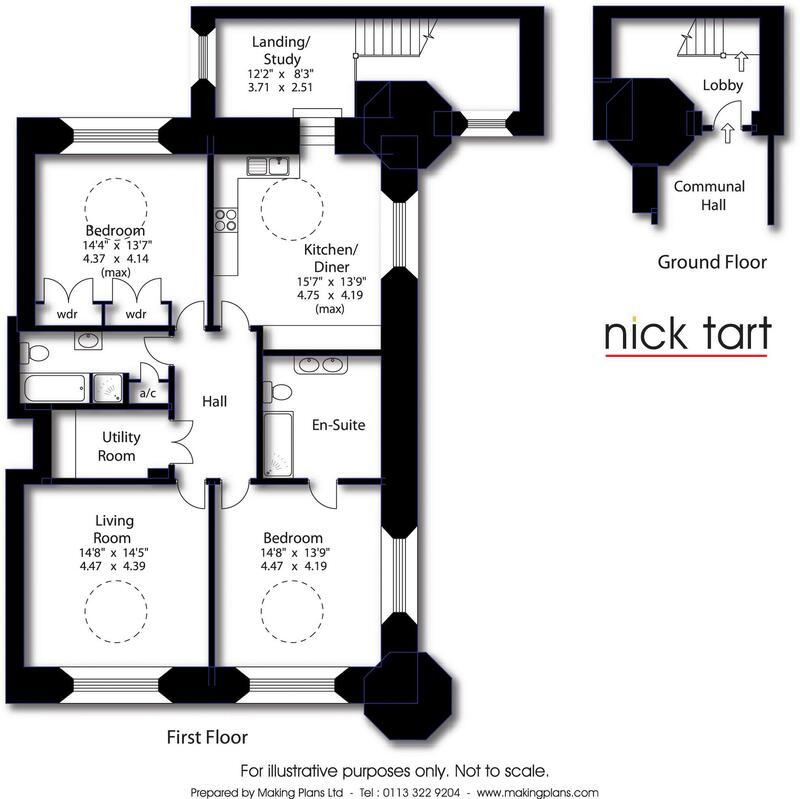 The property comprises private entrance lobby area with stairs leading up to large open landing / study area, a re-appointed and re-configured kitchen diner, utility room, internal hallway, two large double bedrooms (one with built in wardrobes and a large luxurious ensuite shower room), family bathroom and living room to the rear with views over the river. COUNCIL TAX BAND C. ENERGY PERFORMANCE RATING C.